He’s got THE best game ever!!!! This is so cute Bailey. I had one of these for my kitty Bella who was either kidnapped or perhaps she’s in kitty heaven – she loved it. 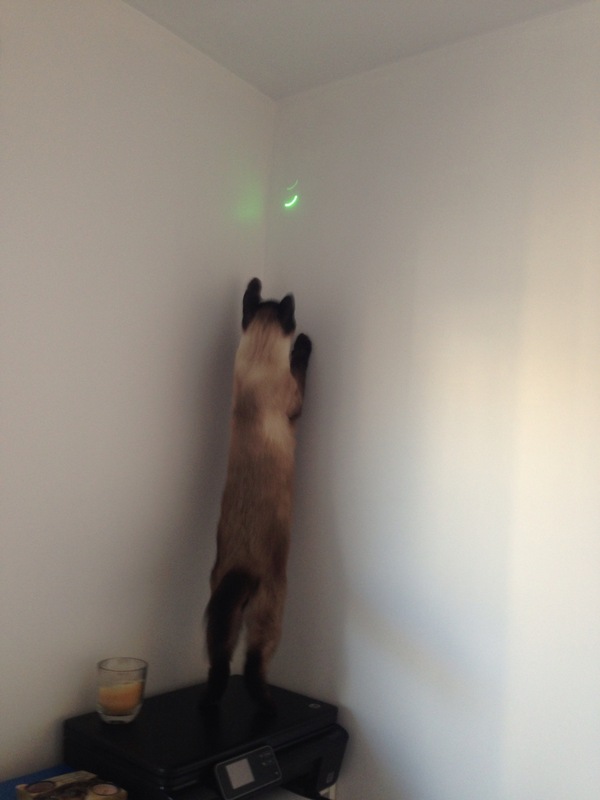 How on earth are you supposed to catch anything in the last two photos! 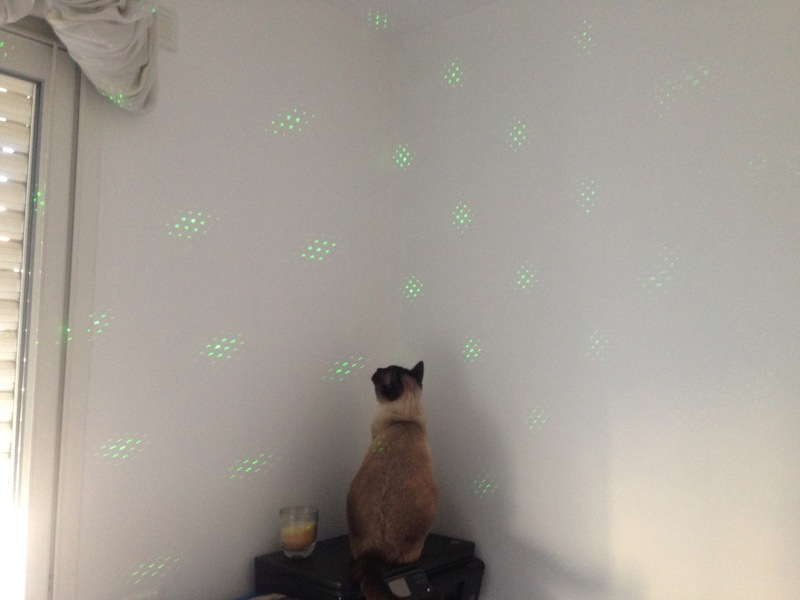 Oh Bailey I have lots of friends who just luv the laser light toys! I don’t have one but Mom thinks at my age (and my usual speed chasing things) I probably wouldn’t have as much fun as you young “kids”……I’m glad your Dad brought something special for you! 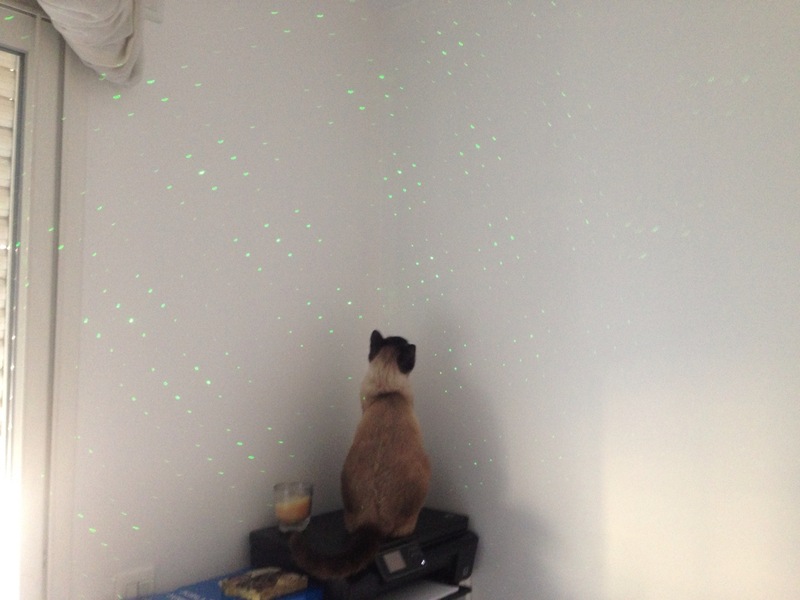 Oh yea, laser is a good thing. 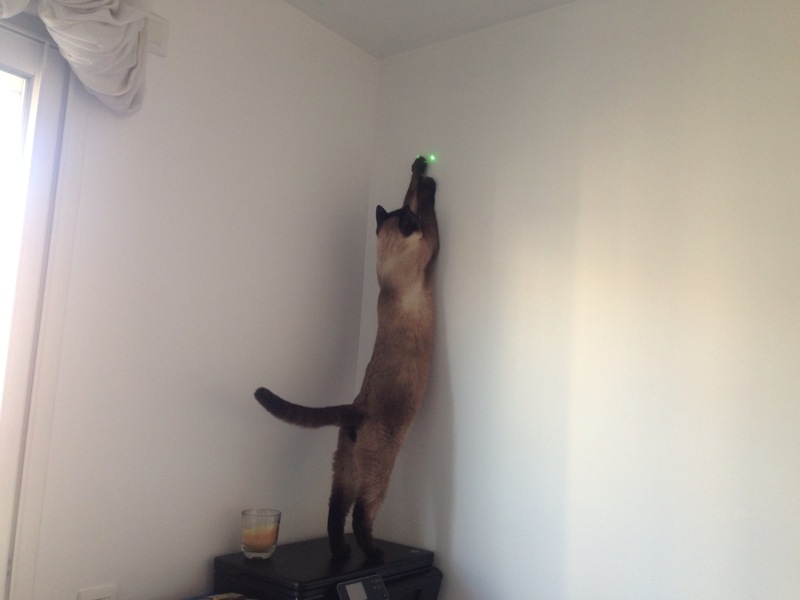 MaChatte goes up the wall like that, or runs crazy around in circles on the floor. Dad picked a good game. Bailey, you are such a long kitty all stretched out! Motor Man plays laser tag with me sometimes. Only ours is just one little red light. We have fun with it. 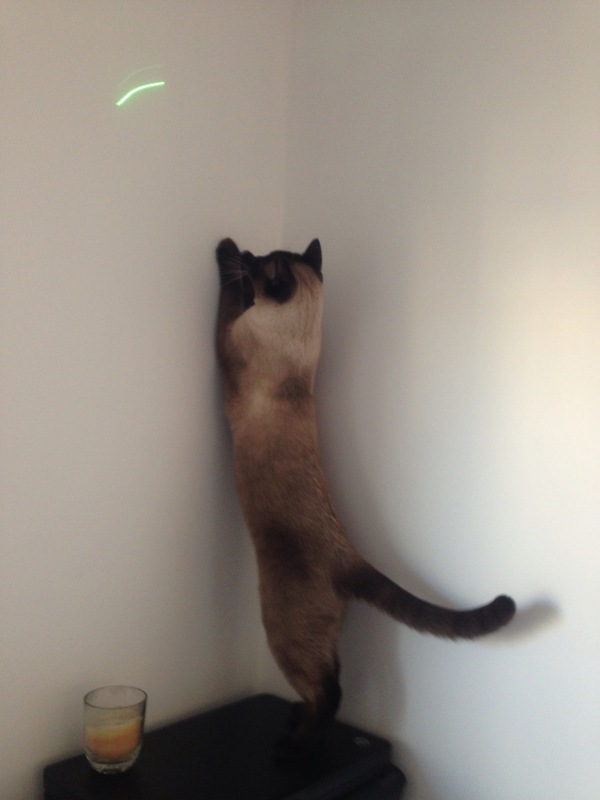 Dad’s rock when they bring home laser toys! Enjoy Bailey! I love laser tag, too! I’d love to meet you sometime Bailey — even though I’m a canine, I like anyone who lives on a boat. And I think you like LOTS of the same stuff I do . . . who says dogs and cats can’t be friends??? 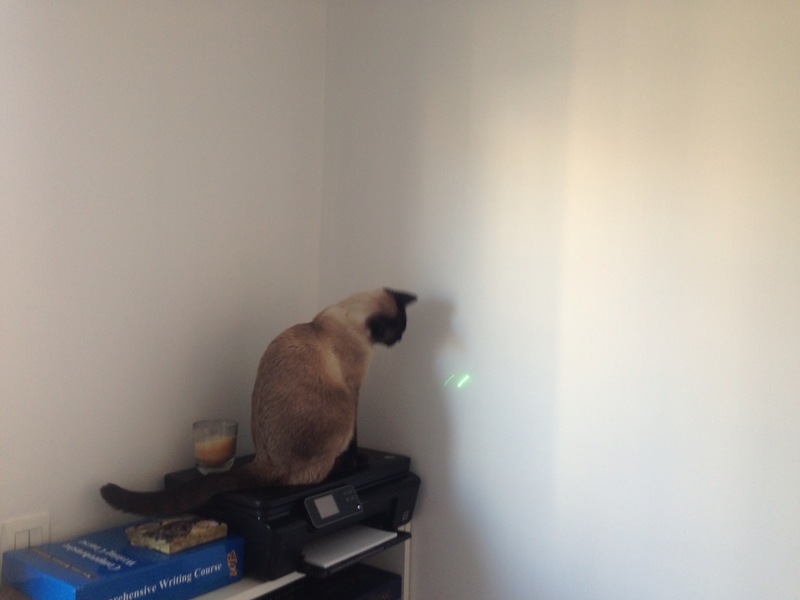 Me neber seen a GREEN lazer lite…oh wait me bouncy ball haz green in it. Me don’t like da pointerz tho’. me haz a bit of Ny-stagg-muss in da eyez so it hurtz to follow brite litez. Mum haz to bounce da ball far awy so it doezn’t hurt me eyez.